Even the weather was sad to see the end of our 2017 Blue Iris B&B season: the enclosed picture shows the surprise dump of snow we received on the 6th of November! 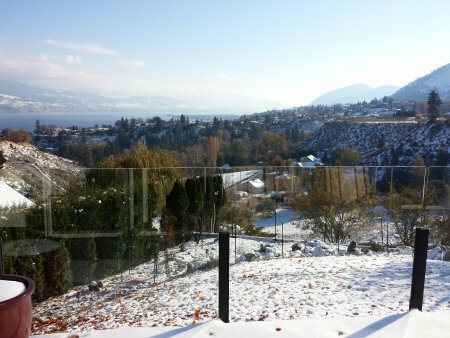 This was very unusual weather for us here in Summerland! Normally we don’t get snow until just days before Christmas but this year, continuing with the weather surprises, was a new feature! We would like to thank all of our guests who crossed our path this summer season! We made some new friends from far away and close by, as well as welcomed back guests for returning visits. We LOVE what we do here and especially love that guests like our B&B/food/setting and wish to come back again! We look forward to opening again in May, 2018! See you then!